On 1st March the Young Creatives team held the 5th session of the program in the McNulty Foundation Design Lab on the Ashesi University College campus. 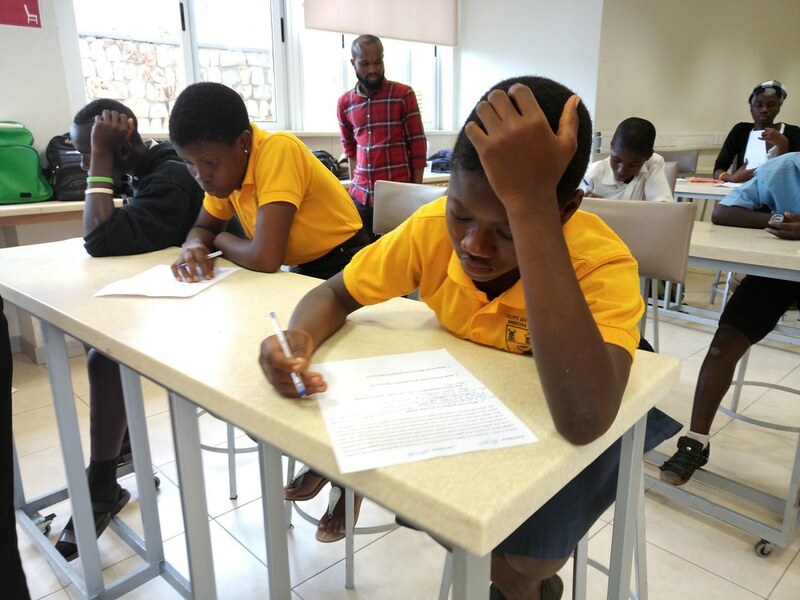 For previous sessions, the team taught the students how to identify problems around them and understand the stakeholders, effects and causes of these problems. We introduced a class charter and some concepts of leadership and teamwork such as respect and core values to the students. For the 5th Session of this program, we brought the students to the Ashesi Campus. This change of environment revealed a lot about how physical environments can greatly impact the emotions of young learners and hence motivate learning! We, the team for the day, surprised them with a quiz to test their understanding of problems, causes and effects of problems, and stakeholders, tackled in previous sessions. Some students expressed how this made them feel; in their own words, the experience was ‘easy’, ‘tough’, ‘uncomfortable’. The day ended with a display of the arrow head marching formation that the students spent the entire day in school learning, prior to our Young Creatives session. Posted in Projects, Young Creatives InitiativeTagged Communication, Curriculum Development, Design thinking, Education, Junior High School Education, LeadershipBookmark the permalink.